We had snow in March, wind so strong in April that it toppled a 40’ oak tree on the edge of our vineyard, and a hail storm on June 11. We’re bracing for a swarm of locusts. 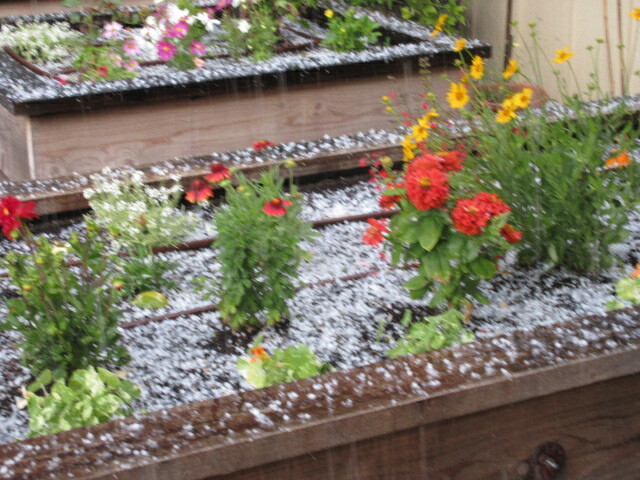 The hail arrived late afternoon, and during a 45 minute barrage, the temperature plummeted from 62 to 42. 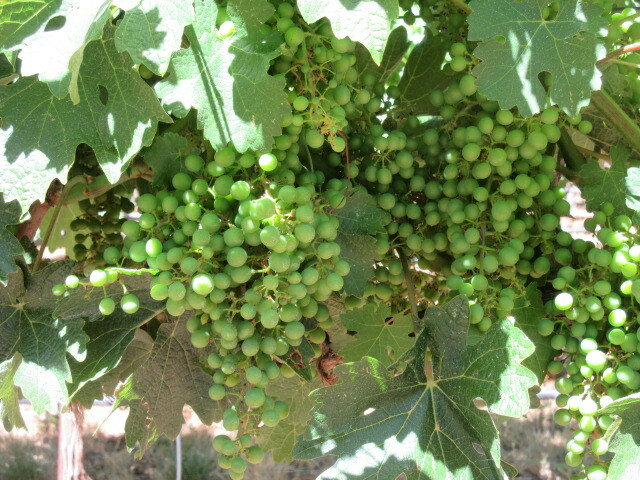 In the photos below you see the evolution of a Cabernet Sauvignon grape cluster. 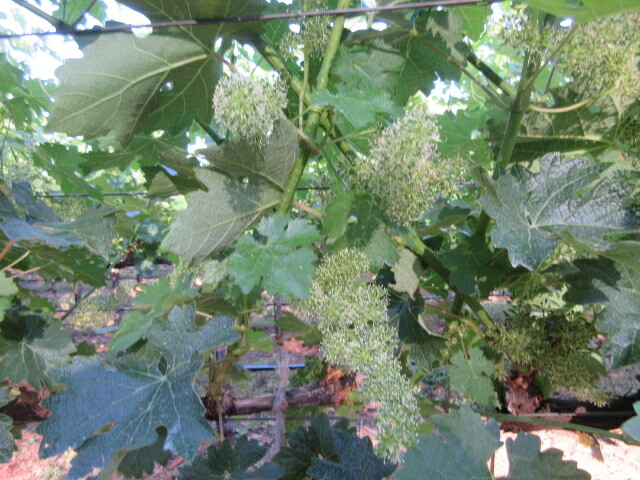 Those hairy things on the top are grape clusters in the initial stage of flowering. Each hair has the potential to become a grape. In the middle photo you can see tiny berries. Those are the hairs that successfully pollinated. The last photo shows fully developed and robust clusters. The pollination process can last 30 days. 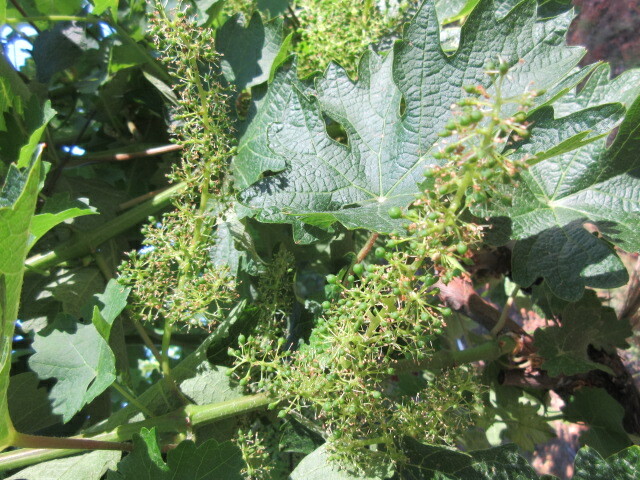 Grapevines are self pollinating. During pollination, those delicate hairs want to avoid high winds, high temperatures, rain, and hail. We had all 4, including a week of temperatures near 100 following the hail storm. When Mother Nature disrupts pollination, we get shattered clusters. Those are the spindly clusters shown above. We cut those off because the winemakers don’t want them. 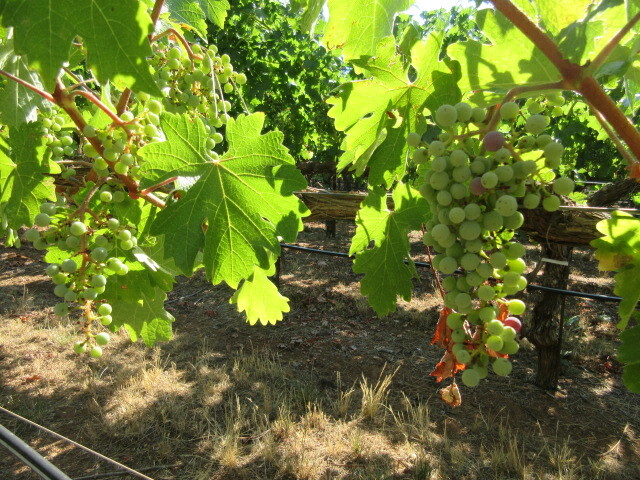 The healthy clusters are now going through veraison. 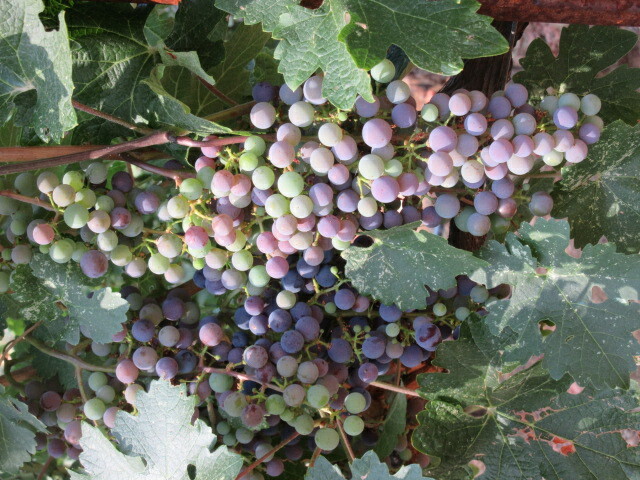 This is part of the ripening process when the grapes turn from green to blue. 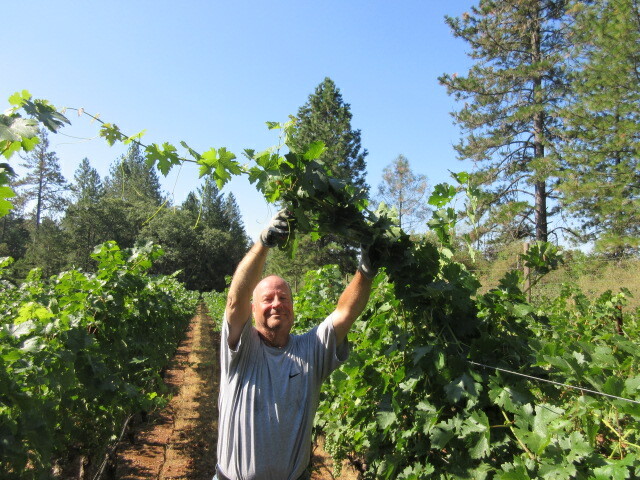 Gerry doesn’t need a haircut but the vineyard does. 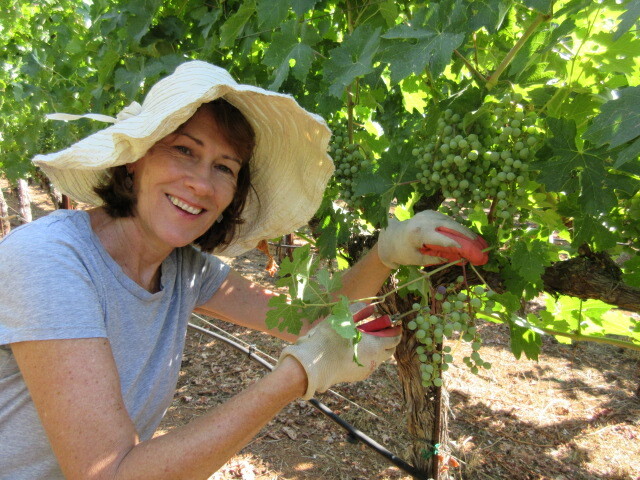 We need lotsa sun and heat on the clusters to ripen the fruit. We facilitate that by cutting all 70,000+ canes…..again. Stop the madness! The first time we cut them was in March when we pruned. Barb wishes Gerry could grow hair the way these vines grow canes. Amazing. That is not a $25 haircut. You want to know where you can get a hat like that, right? The little shoot that could. What an over achiever. Barb is holding a 12” shoot that proudly produced 2 clusters. 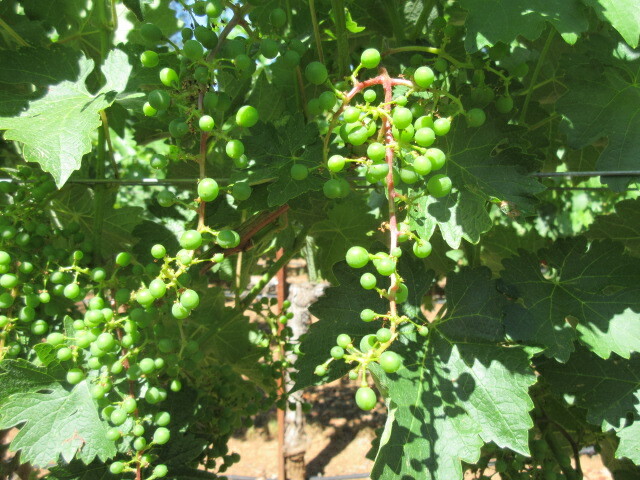 Unfortunately, those clusters have to be cut oﬀ because that shoot doesn’t have enough energy to ripen those clusters. 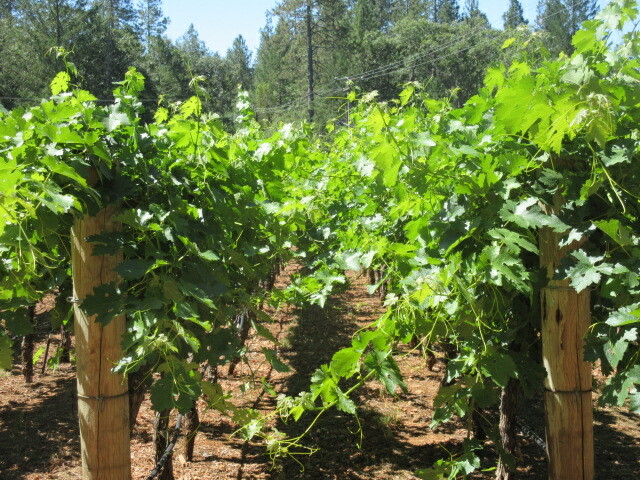 We now make another pass through the vineyard cutting oﬀ all the short shoot clusters, second crop clusters, and clusters that don’t complete veraison quickly enough. Is anyone else ready for a glass or 3 of wine? 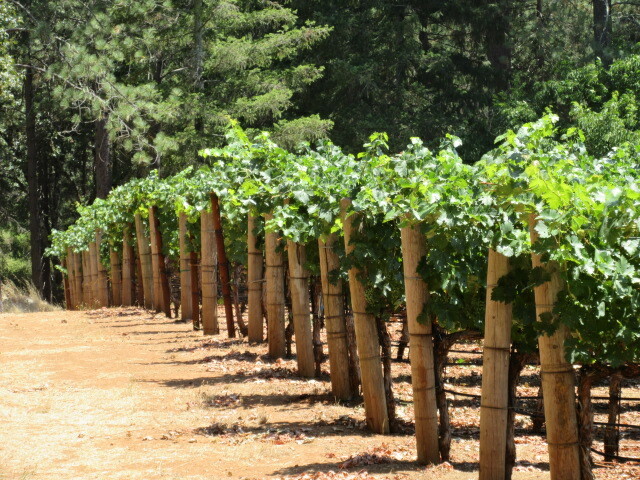 The next email you receive from us will announce the release of our 3 new Howell Mountain wines, including our 2013 Cabernet Sauvignon made from our vineyard, our ﬁrst Howell Mountain Zinfandel, and our second Howell Mountain Cabernet Franc. We are very eager to share them with you around November 1. 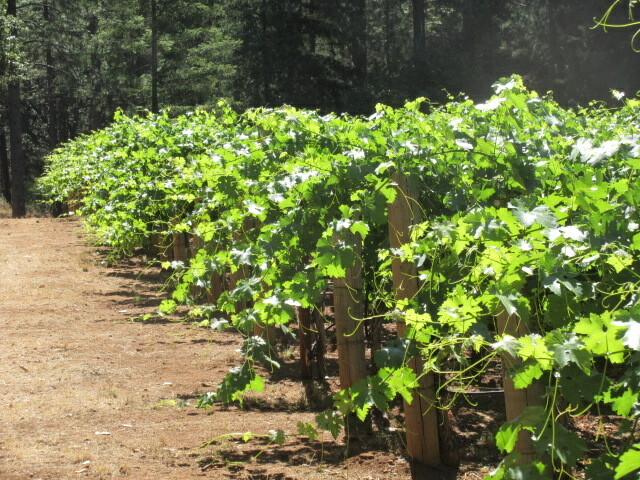 In the meantime, we have a little of the 2014 Napa Valley Zinfandel remaining for sale on our website. 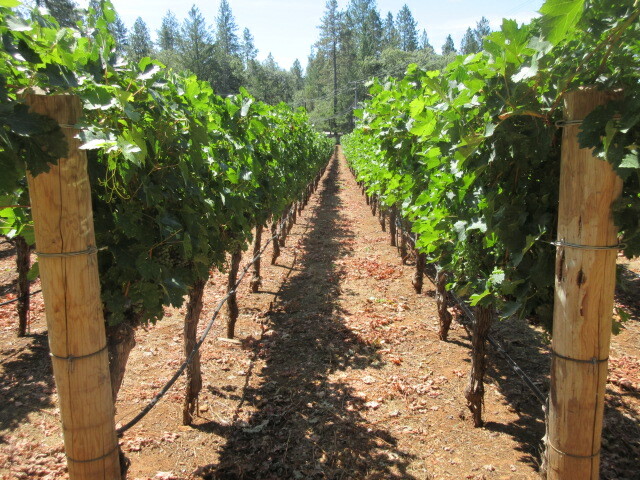 This is our ﬁnal vintage from the tiny and awesome 35 year old St. Helena vineyard.